Okay, its not exactly here yet, but the implications of this idea could be a game changer. 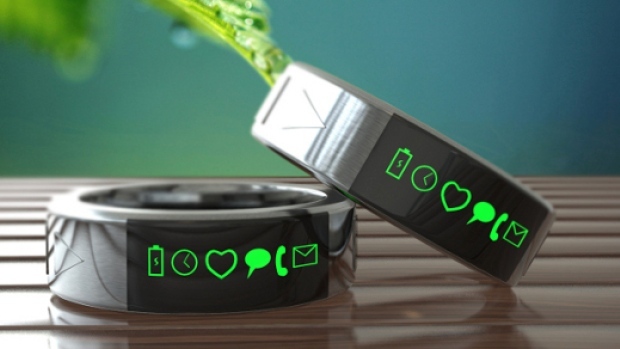 It’s known as the Smarty Ring, a crowdfunded idea being advertised on Indiegogo by a group of inventors in Chennai, India. And at its core is a waterproof, stainless steel band that will feature an LED screen and connect to your phone via Bluetooth 4.0 wireless technology. For some time now, the Chennai-based group has been the source of some controversy, due mainly to the fact that they have no working prototypes of the ring, but also because they have not identified themselves beyond giving their location. They also freely admit that the photos of the Smarty Ring on Indiegogo and on their website are photoshopped. Surprisingly, this has not prevented them from being able to mount their campaign to raise money for its development. While the crowdfunding site Kickstarter has rules requiring creators to be clear about the state of a project’s development and show a prototype “demonstrating the product’s current functionality,” Indiegogo has no such rules. However, this has not stopped their campaign – which officially closed at 11:00 am ET on Dec.11th, 2013 – from raising a total of $299,349 from their original goal of $40,000. Numerous blueprints of what the watch would look like, including detailed images of its electronics, are also available on their campaign page. What’s more, the group is still taking advanced orders and offering discount pricing to anyone who orders one before Dec.30th. Also, the group has become much less clandestine since the campaign closed. In response to questions, group spokesperson Karthik said the project was founded by Chennai-based mechatronics engineer Ashok Kumar, and that their team of inventors includes electronic and computer engineers with experience in robotics and nanotechnology. Ultimately, the goal of the project was to create a high-tech gadget that would also double as “high-end fashion jewelry,” according to an email to CBC News from the team’s marketing director, Karthik, who did not give his last name. The group also claims on their website that the average smartphone user checks their phone every six minutes, and promises to make that unnecessary, saving time and the battery life of the smartphone. The Smarty Ring team says the retail price for the device will be $275, but backers and people who preorder before Dec.30th will be able to get one at the reduced price of $175. They estimate that delivery will begin sometime in April of 2014. They are also offering cheaper versions that include only the tracking feature or the clock and tracking features. Needless to say, if this is a scam, it is clearly a well-thought out and elaborate one. 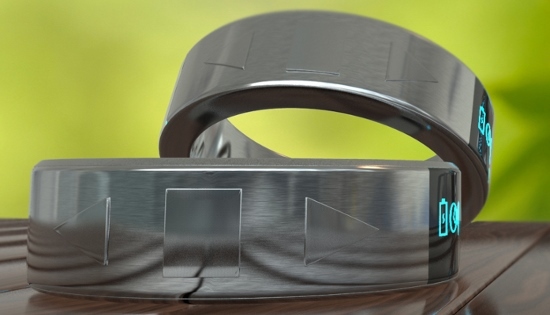 Not only is the idea of a smart ring that can connect wirelessly to other devices and do the job of a smartphone entirely within the bounds of current and developing technology, its a very cool idea. But if it is in fact real, its realization could mean a new wave of innovation and design for the smart devices market. Currently, designers and developers are working towards the creation of smartwatches, smartphones, tablets and phablets that are not only smaller and much thinner, but also flexible and transparent. An even smaller device, such as a ring or bracelet, that can do the same job but be far more ergonomic, may be just what the market ordered! Merry Christmas from Epic Rap Battles of History! Sounds like something I ought to put into Video Rage’s sequel. Oh yes. Smart bracelets is something I’ve read about in various sci-fi novels, and I’ve worked them in before. Anything jewelry related that is also a smart device is aces! I’m going to assume “aces” means awesome.